Canada has a vast immigrant population who are either Canadian citizens or permanent residents. Every year, Canada receives visa applications from visitors around the world wanting to visit a family member in Canada. Super Visas were introduced by the Canadian government in 2011 to manage the backlog of visa applications received from visitors who wanted to stay longer in Canada. The Super Visa is valid for up to 10 years and is given to parents and grandparents of Canadian citizens and permanent residents. While the regular visitor’s visa allows someone to remain in Canada for only 6 months, the Super Visa allows a stay of up to 2 years with an option to apply for an extension. Needless to say, the Super Visa is used quite a lot. The Super Visa lets applicants visit their children or grandchildren in Canada for up to 2 years at a time. To be eligible for a Super Visa, the visitor must have a signed letter from the child or grandchild in Canada promising financial support for the duration of the visit. Click here to know more about eligibility for a Super Visa. Another important requirement is that the visitor must have private medical insurance issued by a Canadian insurance company with minimum health coverage of $100,000. Parents or grandparents visiting Canada on a Super Visa can stay in the country for up to 2 years. The Super Visa is a multiple entry visa valid for 10 years. Medical insurance from a Canadian insurance company is a must for a Super Visa, hence the term Super Visa Insurance. Super Visa Insurance should be valid for a minimum of 1 year from the date of entry into Canada. Medical insurance ensures visitors can pay for their health care if they get sick or injured while in Canada. Super Visa applicants must have proof that their Super Visa Insurance has been paid for. The minimum coverage for Super Visa Insurance is $100,000 CAD. Where to get Super Visa Insurance/Super Visa Medical Insurance? Super Visa Insurance must be bought from a Canadian insurance company. 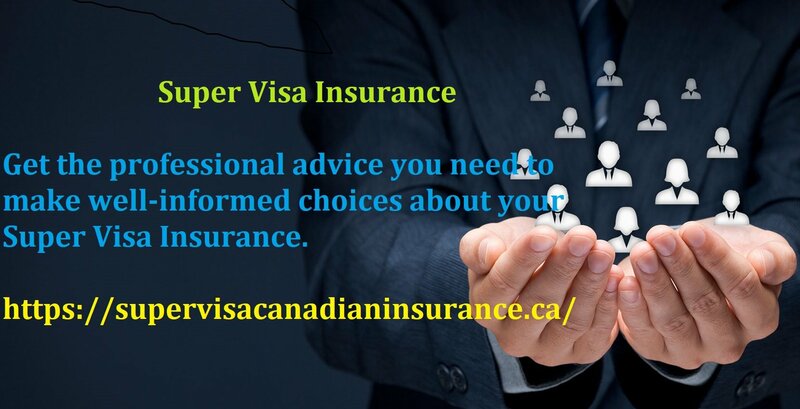 There are many Canadian insurance companies offering Super Visa Insurance. These companies offer medical insurance plans that are convenient and meet Super Visa application requirements. There are basic and comprehensive plans offered for Super Visa Insurance, all having a minimum coverage of $100,000. There are many websites that offer Super Visa Insurance quotes from different insurance providers online. You can compare plans side by side and select the one that suits your requirements. Insurance websites provide instant quotes when the customer fills the online form with relevant information about the visitor. Coverage for up to 1 year from the date of entry into Canada and no expiry date exclusion. The ability to return to the home country during the trip without cancelling coverage. A minimum coverage of $100,000. Buy The Best Super Visa Insurance! Medical coverage is absolutely essential for anyone travelling to a foreign country. Per the Canadian government regulations, anyone travelling to Canada on a Super Visa must have private medical insurance from a Canadian insurance company with a minimum coverage of $100,000. Coverage or no coverage of pre-existing medical conditions. Buyers can talk to a local financial advisor or get an online quote before choosing the best option.